Tonight, I went to the U.S. Capitol to recreate a rather popular print of mine. I was never fully satisfied with it, and wanted to improve the end product. 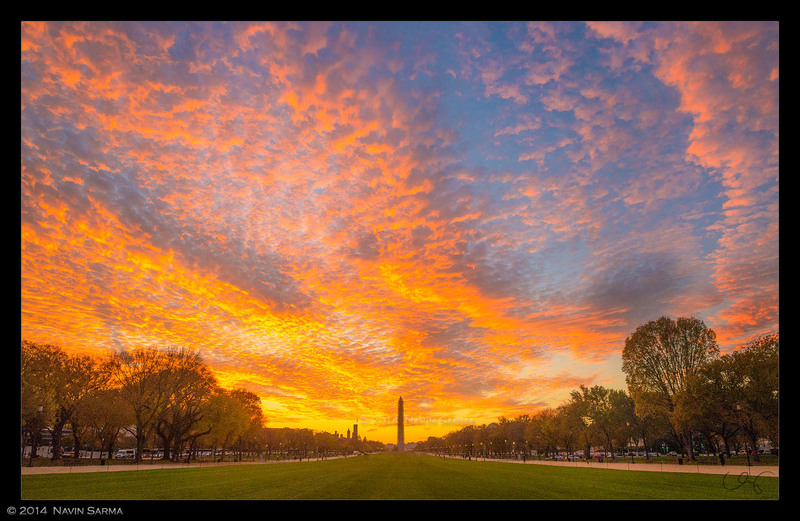 While I think I was successful in capturing the image I wanted, I also had to capture what turned out to be one of the best sunsets in Washington DC that I can remember. In looking up at the sky earlier in the day, I noticed the high cirrus clouds and had a notion that it might be a colorful sunset. Nothing I thought would have prepared me for the show I saw! 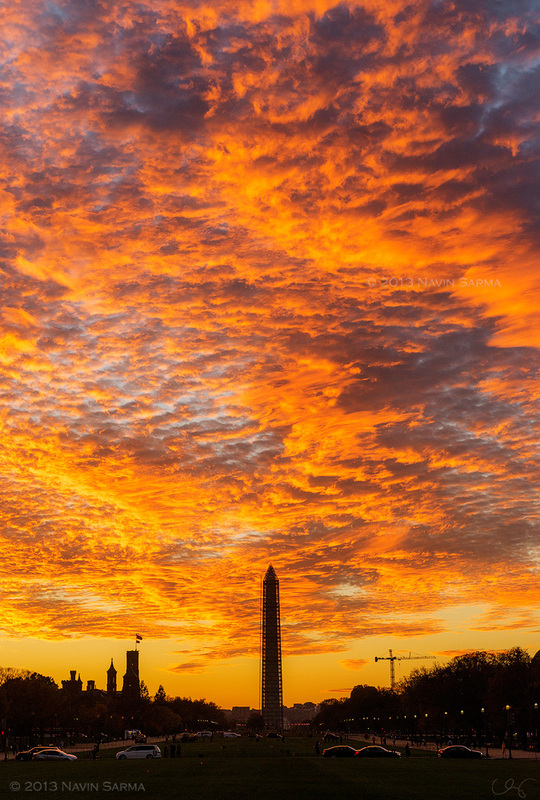 The Washington Monument’s shape cuts into the bright, orange sunset sky. 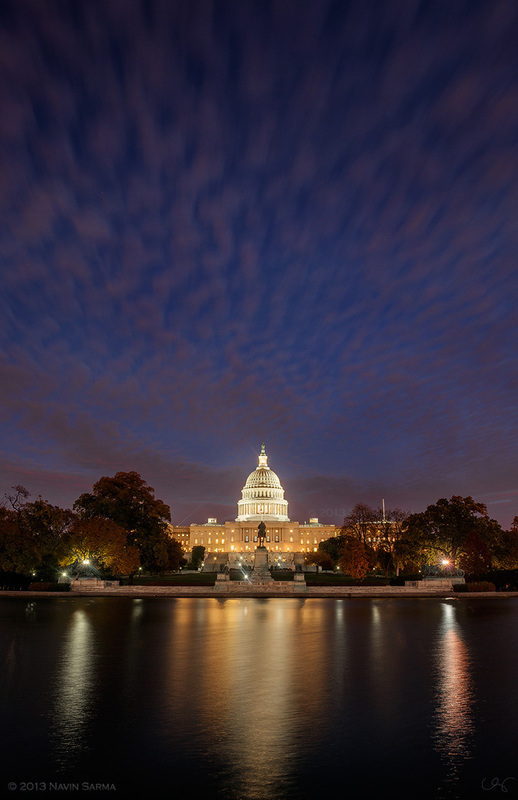 U.S. Capitol under Purple Clouds. Hope you enjoyed the post! More photos to come from this (pretty productive) evening.